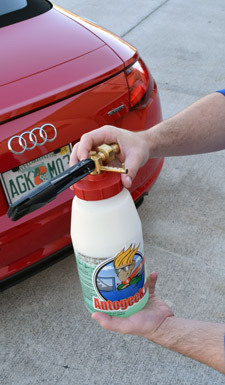 Note: the Autogeek, Pinnacle and Wolfgang Foam Guns all feature a quick connect between the hose nozzle and foam gun’s lid. 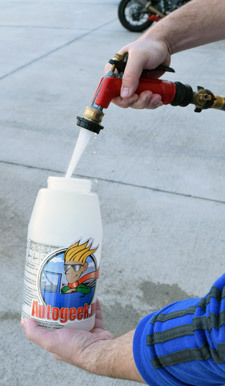 Filling and shaking the foam gun is easier if you release this quick connect. 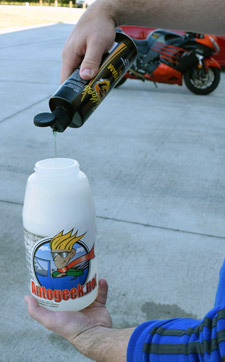 Pour 2-3 ounces of Xtreme into a 5 gallon wash bucket, such as the Pinnacle Complete Wash System. 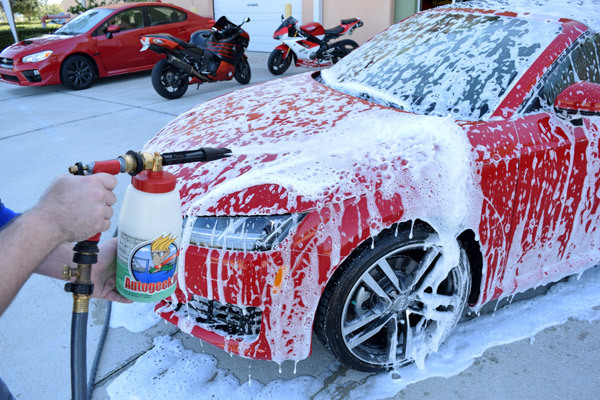 Activate foam with a strong jet of water.